Most animated sequels struggle to find the spark of the original. Most of the time the original story is so insular that it is difficult to justify a sequel and even more difficult to put a coherent, logical story in place. Pixar had created something magical with Toy Story though and although it did have a successful story, which worked on many different levels, it was the characters that were big success and the reason the movie was a hit. Which means any sequel was destined to work if handled correctly. The story for the second film is just as clever as the first. The conflict of the first movie came from Tim Allen’s Buzz Lightyear being such an impressive toy that Tom Hanks Woody was jealous. Add to this the fact that Buzz didn’t know he was a toy, which was the vein of most of the movie’s humour. Toy Story 2 flips that premise and makes Woody the sought after toy after he is stolen and then discovers he is a collectors item. It flips it further when he starts to believe his own hype and needs reminding that he is a children’s play-thing: That he is a toy! Unlike the first movie, Toy Story 2 also gets further ambitions. The first film had a fairly linear story which saw Buzz and Woody fight their way back to Andy’s house in a perilous journey. Toy Story 2 splits the action between Woody and a new host of characters and the rest of the original toys on an equally as perilous rescue mission of their own. The magic of the movie lies in the latter story. It feels like the great cast of characters get much more to do here. 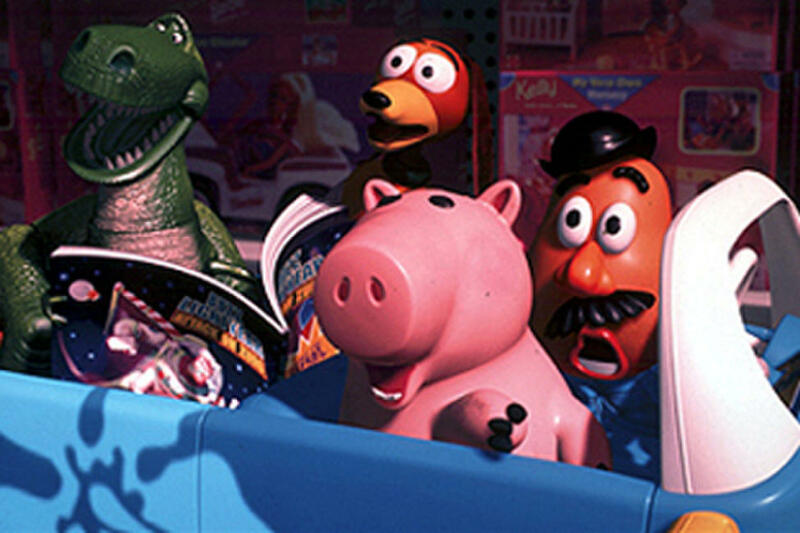 Rather than just have Woody and Buzz as the focus, other key characters get to shine, including Don Rickles’ Mr Potato Head, Jim Varney’s Slinky-Dog, Wallace Shawn as Rex the Dinosaur and continuing the tradition of starring in every Pixar role with his original role is John Ratzenberger as Hamm the Piggy Bank. Their adventures and altercations are the funniest of the film, from a daring but brilliantly staged crossing of a road to exploring a toy store, which manages to homage movies from Jurassic Park through to The Empire Strikes Back. The most notable aspect of the Woody portion of the movie is that it introduces new toys. Joan Cusack sticks out as Jessie the Cowgirl and gets an amazing sequence of her own explaining her hatred for kids and being a toy. Kelsey Grammar is also as effective as Stinky Pete the Prospector. It brings a second side to the Woody character too and develops upon what made him so likeable in the first movie. The two stories keep the movie from ever dragging and the plot zips at an impressive pace. 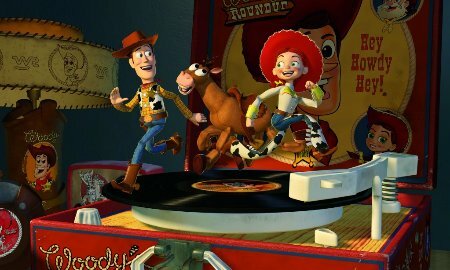 For every exposition and dialogue heavy scene, usually involving Woody and his new friends, there is an action sequence or comedy set-piece involving the other toys. This comes full circle and ends brilliantly with an exciting finale, which yet again places the toys out of their element while keeping the humans completely oblivious. Regardless of how great the film is though, it still lacks some of the original spark. Like most sequels, it is a welcome return to the characters we came to love from the first film but doesn’t do much to develop them further. You don’t need much more though as long as the characters are this good and this entertaining. 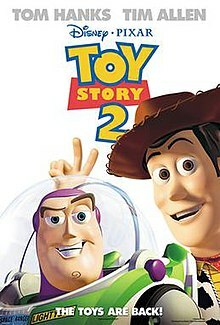 Overall, Toy Story 2 brings the toys back in an impressive flip of the original movie’s story. It has action, great comedy sequences and plays to the strength of the first film. 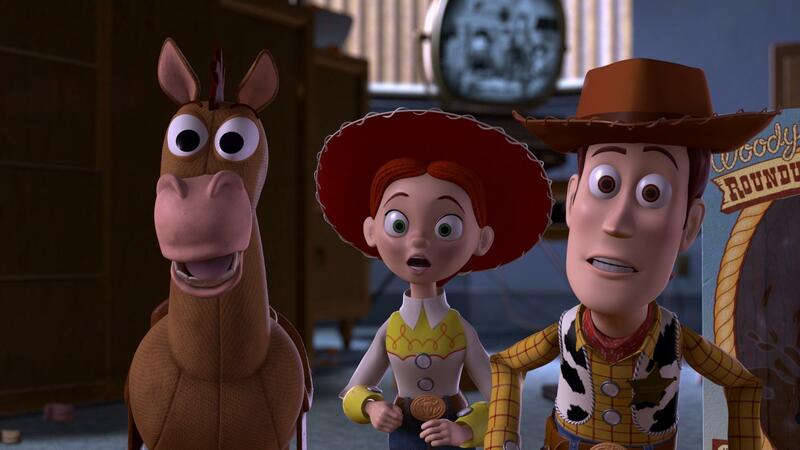 It also ends with a great finale which helps showcase why Toy Story is one of Pixar’s strongest properties.